London’s new city council will be a pretty even mix of old and new faces. The full picture of the city’s next crop of ward councillors came into focus on Tuesday, as the final results of the municipal election’s new ranked ballot system were tallied. Incumbents Michael Van Holst, Mo Salih, Jesse Helmer, Maureen Cassidy, Phil Squire, Josh Morgan, Anna Hopkins, and Stephen Turner were all re-elected, while council veteran Bill Armstrong and first-term councillors Virginia Ridley and Jared Zaifman were defeated in their respective wards. The new council, which will be sworn in the first week of December, is now made up of four women and eleven men. Wards 1, 2, 3, 4, 6, 7, 10, and 11 were decided Monday night in the first round of ballots, with the rest needing more rounds to establish a winner. The ranked ballot system requires the winning candidate have more than 50% of the votes in order to be elected. Counting resumed at 10 a.m. Tuesday beginning in Ward 5, where it took six rounds before incumbent Maureen Cassidy defeated Randy Warden by 106 votes. Steve Lehman defeated former Thames Valley District school board chair Matt Reid in the ninth round to take Ward 8 with 3,823 votes. In Ward 9, the four other candidates were no match for incumbent Anna Hopkins. She won with 4,948 votes, which was 2,342 more than any other candidate in the running. After five rounds, Elizabeth Peloza won the seat left vacant in Ward 12 by Harold Usher. Arielle Kayabaga became the first black woman to be elected to London city council, after claiming Ward 13 in the eighth round of counting. She defeated candidate John Fyfe-Millar by just 139 votes. Ward 14 went into four rounds of counting, at the end of which incumbent Jared Zaifman lost his council seat to Steve Hillier. The new ranked ballot system seemed to make little difference in each of the races, as the first-round leaders in every ward ended up being elected after the counts were exhausted. 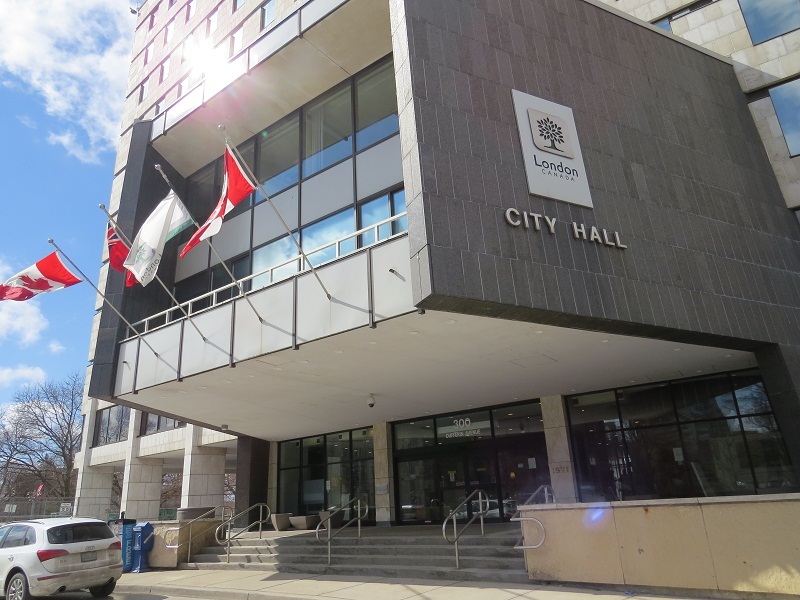 Voter turn out was also down in this civic election with 39 per cent of Londoners casting a ballot, compared to 43 per cent in the 2014 vote.